Fans of Libba Bray’s Gemma Doyle Trilogy will eat up this series. Zink’s beautiful writing transports the reader back to the 1800s (the heyday of Gothic fiction), wrapping layer upon layer of mystery, prophecies, love, and danger. Twins Lia and Alice face off against one another, fighting on opposing sides of an ancient prophecy that threatens to unleash the denizens of hell. While I personally had difficulty connecting with the characters, I am firmly in the minority. Despite this disconnect, I love the original storyline and I am anxiously anticipating the third and final book (released August 1, 2011). 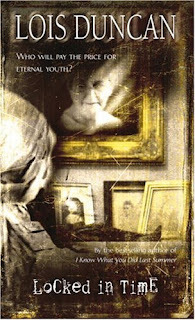 I haven’t read this book, nor have I read Charlotte Bronte’s original (I know! This year I will, I promise! ), but I have heard really good reviews for this updated YA version. If the book is anywhere near as atmospheric and pretty as the cover, then this one is a must read. FYI, I have heard many die-hard fans of the original claiming Jane does not do Bronte justice. Part irresistible romance and part darkly engrossing mystery, this contemporary retelling of the beloved classic Jane Eyre promises to enchant a new generation of readers. While this book really could have been shortened by at least 100 pages and the romance is of the insta-love variety, the Gothic elements of this story are pretty darn good. While attending a beautifully rendered Gothic boarding school, Renee discovers a deadly secret hidden within the school. The most notable part of this book is the paranormal mythology Renee uncovers—a mythology that is truly inventive and sets this book apart from other paranormal stories. 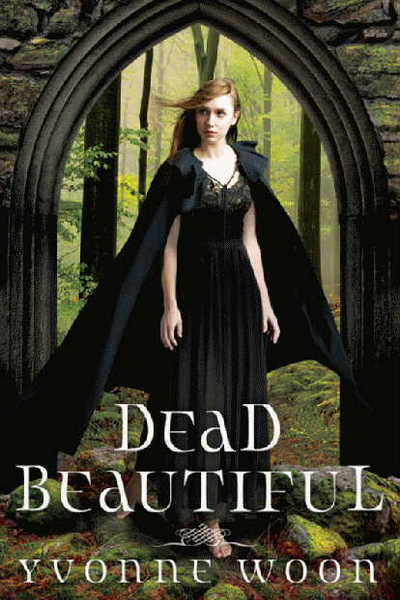 Read my Dead Beautiful review to learn more about this book. This series so deliciously captures Gothic fiction. You’ve got a spooky old boarding school, evil teachers, ghostly contacts, warring secret societies, secret trysts, a dark and brooding anti-hero, an inquisitive girl, and outstanding atmosphere. Emotions run to exaggerated, almost tongue-in-cheek extremes in typical Gothic fashion. Try not to be overly critical and just let yourself get lost in the over the top peril and love. 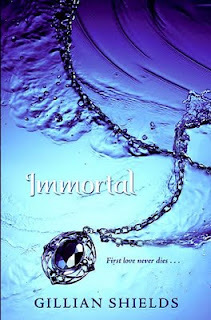 If you want to read more about this series you can check out my Immortal review, Betrayal review (spoilers for the first book), and Immortal cover review. Have you read any of these books? What did you think of them? Does anyone know of any other YA Gothic fiction books? I'd love to hear your suggestions. I haven't read the original Jane Eyre but I thought Jane was a great modern adaptation of the classic. Um, omg, Jane sounds amazing! I did read the original when I was younger (was forced to read it and still LOVED it...which says a lot) I think I might check out the updated one! Love this post. 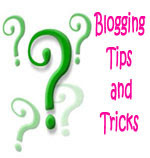 Your blog rocks my world. I just finished reading Jane and it was amazing! I loved it! Hopefully, will do a review of it soon on my blog. 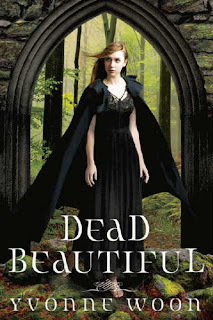 More gothic fiction: Beautiful Creatures and the sequel Beautiful Darkness by Kami Garcia and Margaret Stohl are pretty obvious choices. Have you read them already? 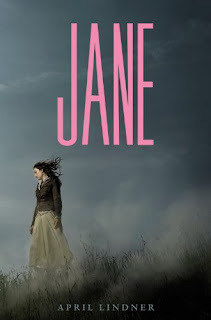 A vote for Jane and a vote for Jane Eyre....sounds like I need to get started reading this story one way or the other! Madigan, I've heard of Beautiful Creatures/Darkness, but I haven't read them. I didn't even realize they were Gothic fiction. Thanks! Thanks so much for featuring Gothic Fiction, a genre that I'm definitely interested in learning more about. 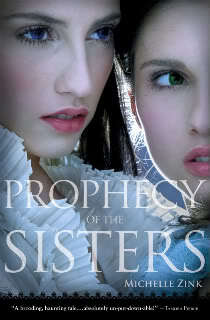 I haven't read much in this genre, just Beautiful Creatures, though I want to read Prophecy of the Sisters and Jane. Yay more gothic fiction :o) I really enjoyed the Prophecy of the Sisters and have had the sequel sitting on my shelf for awhile. I need to read it! Immortal sounds REALLY good. I tried reading Jane, but I couldn't get into it. The writing style didn't appeal to me. All of these books look really good. 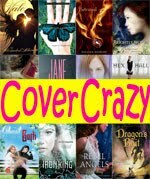 I love gothic reads and I think it's really neat you featured a Gothic YA Fiction section. How odd that this post didn't appear in my Google reader. You've got a few series here that I would like to try! Also, it just occurred to me: I previously thought that I had never read anything that could be considered Gothic Fiction before but now I think Beautiful Creatures would be. I want to read Jane in the worst possible way! <3 Are you planning on reading My Swordhand is Singing? These gothic fiction lists are great! It's definitely a category I need to "beef up" when it comes to reading. To get started, I just put Jane on hold. So excited! I have Jane on my bookshelf but haven't included it on my TBR yet. I haven't read the original yet and I want to read that first and then I'll immediately follow it with the updated one. I'm not much into gothic fiction, but if I find a great book from that genre, I'd read it. And about the 'torn between two books' thing, our library is pretty useless so I have to rely on the good ol' bookstore and secondhand shops for my book fix... Sometimes I read first before buying, but there are also times when I just base my decision on the synopsis and let myself be surprised. Fortunately, that only yielded mediocre results just a few times. And yes, printed books rock! Haven't read Jane...I've heard both good and not-so-good things about it, and I'm always a bit wary of re-tellings of classics...I'm a die-hard Jane Eyre fan so I think I might be a bit of a stickler for re-tellings adhering quite closely to the original :D Can definitely recommend Jane Eyre itself though!! Jenny, I love it too! It’s such a fun, mood-setting genre. I want to read Jane because of that awesome cover. Missie, You’re welcome! Hm, I think Shadow Hills is more paranormal. 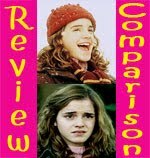 They both are set in a boarding school, but their plots and “features” are pretty different. Laura, I hope you enjoy Immortal! Betrayal is the sequel and while there is a third book coming out, I’m not sure how that will work. Betrayal seemed to end pretty cleanly to me. Logan, Hehehe I’m not sorry! Lisa, I’m glad you enjoyed it! Aylee, That is odd. I hope the post I accidentally posted and then deleted didn’t show up instead! Hm, all of these comments for Beautiful Creatures…guess I’m really going to have to get to reading that one! Nina, I think I want to wait to read the original first too. Danya, I’ve heard mixed reviews too, but it seems the more negative ones are coming from Jane Eyre lovers. You might want to steer clear then! This post showed up in my google reader on Friday at 9:15am. And yes, another post showed up prior to that but when I clicked on it, it told me the page didn't exist. Very odd. Would Ruined by Paula Morris be considered a gothic tale? It's a ghost story that happens in New Orleans and while the MC doesn't live in a big house she lives in the Garden District and everything is surrounded by mystery. Also the author of The Splendor Falls has a book coming out called Texas Gothic. Can't get more specific than that! It's not due out for a little while. Aylee, Yeah, I messed up and accidentally published a post early. I deleted it and scheduled it properly, but it messed up my whole Google Reader flow. Buried in Books, Hmm, I think you could consider Ruined a Gothic book. Maybe Gothic "lite"? Ooh, yes, I have Texas Gothic on my TBR. Good call!